• Availability in both directions. 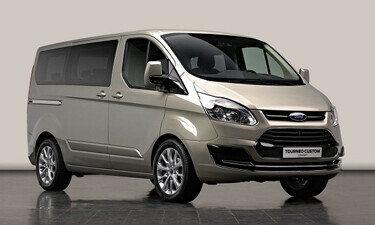 A private minivan transfer Florence – Venice costs more than a transfer by train but it offers several advantages that makes it worth consideration. • The transfer is door to door. We will pick you up at an airport, railway station or accommodation and deliver you and all of your belongings safely and efficiently to your destination. • Comfort. 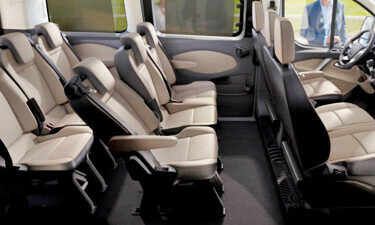 Our recent-model, air-conditioned minibus provides a comfortable ride along the entire route. There is ample leg room. • Maximize time. Your time abroad is limited and precious. By arranging a private transfer you are almost certain to save time due to the absence of changes between trains, buses and taxis, or waits at rental car agencies. • You will not get lost along the route or find your public transport not scheduled as you anticipated. This is especially important if you are planning to catch a flight. And for sure you will not accidentally leave a bag at a transit point. • Be understood. We speak perfect English and will keep you company along the way.